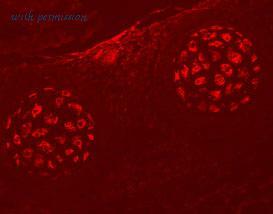 EphA4 in Embryonic Rat Rib Cartilage Primordium. EphA4 was detected in immersion fixed frozen sections of embryonic rat rib cartilage primordium (E15) using 5 ug/mL Goat Anti-Mouse EphA4 Antigen Affinity-purified Polyclonal Antibody (Catalog # AF641) overnight at 4 ░C. Tissue was stained (red). View our protocol for Fluorescent IHC Staining of Frozen Tissue Sections . 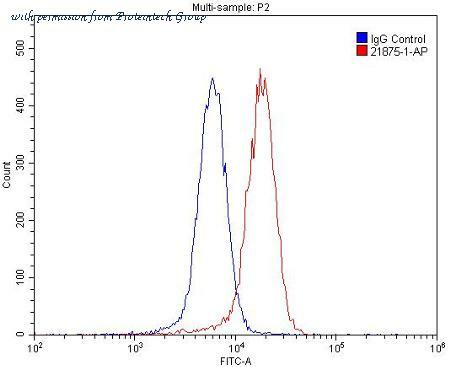 The EPHA4 antibody from Proteintech is a rabbit polyclonal antibody to a fusion protein of human EPHA4. This antibody recognizes human, mouse antigen. The EPHA4 antibody has been validated for the following applications: ELISA, WB, IF, IP, FC analysis.